The film has been rustling up controversy on cinema etiquette since its release. 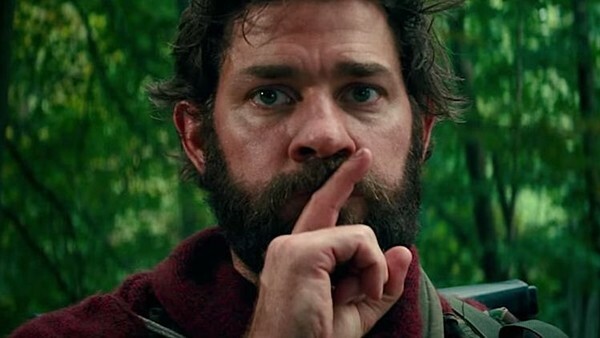 A Quiet Place is as much a movie as it is an experience. Toying with sound and silence and the consequences of both, it actively draws an audience in to take part in the action - daring us to be as quiet as possible lest we face our doom. That doom, it would have it, might not be one of the faceless monsters now roaming Earth, but an annoyed cinema-goer who has rightly had enough of incessant popcorn-chewing. A Quiet Place demands the attention of all your senses - and the public domain is never to be trusted when it comes to respectful silence. 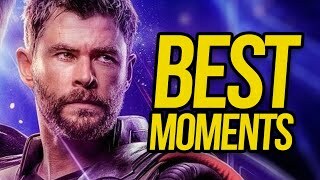 Based in a post-apocalyptic future where Earth is plagued by indestructible, blind aliens that attack sound; silence is one family’s only defence. Real life couple John Krasinski and Emily Blunt have three children, that swiftly become two when one is used as a demonstration for just how cold and precise their hunters can be. With the family grieving and a new baby on the way a year later, they must figure out how to survive when their idyllic farmland becomes compromised and the coming of a newborn child threatens their soundless existence. Now, a bit of a rustle is forgivable in loud action movies - there’s enough noise to mask even the loudest chewer their sins, and hey, everybody has got to eat. It isn’t forgivable however, in a film that posits itself at the silent end of the spectrum; with every promotional material accentuating the silence that defines the film. A Quiet Place requires exactly what it says on the tin - and knowingly exhibits itself in a place where you’re very unlikely to find it. It’s a comment on cinema culture as much as it is a defining piece of genre work. By utilising silence as its key feature, we as the audience are forced to engage with the text in a way that we aren’t used to. We’re pulled in, attuning our ears to the minimal score and leaning forwards to the screen like that terrible ‘relaxing car drive’ video - with each monstrous apparition resulting in subconsciously baited breath. We know sound means death. We know the slightest noise elicits an overwhelmingly fast and fatal response. A rustle of a snack or ill-timed cough completely shatters the tension of this knowledge as we’re instantly taken out of the world of A Quiet Place and plunged back into a cinema screening, rather than tensed into uncomfortable silence waiting out a prowling creature. And that’s without recognising the chatters, laughers, and conversationalists in the room. 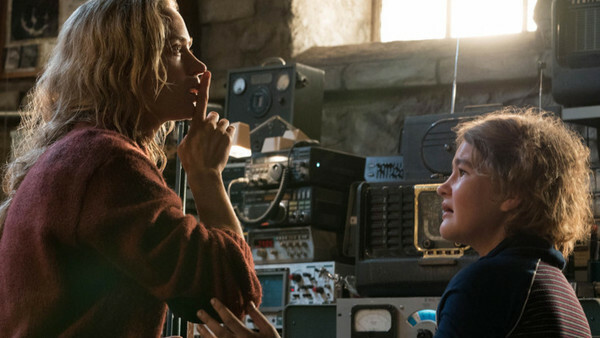 A Quiet Place puts accountability on noise that other films would let slide in a brutal commentary on cinema culture. It prides the artwork of the film over the enjoyable experience of an outing to the cinema, and really makes you think about the senseless noise that surrounds our existence. There really isn’t many quiet places that we have in modern society, and there really isn’t many times we will experience true silence. To have quietness as the norm in the movie is something that highlights just how desensitised we’ve become to the clutter of life clogging our senses. How often do we listen to the babbling of a brook, or the rustle of the wind in the trees? Finding this reprieve in nature isn't a new idea, but is it executed with a stark originality. It's in these noises that the family finds comfort as they live out their silent lives, knowing nature will protect them from the alien invaders. We feel the burgeoning danger behind every man made sound, whether its bursting forth from toys on screen or from the incessant crunching down the row in the cinema. Back to nature, back to silence, and back to the futur- no wait, it’s a present day setting - A Quiet Place’s dystopia is a fascinating concept to consider. And a comforting one, when you think Becky the noisy chewer is definitely going to get picked off first. Sorry Becky.